The abduction, murder and secret burial of Belfast mother-of-10 Jean McConville by the IRA in 1972 still ranks as one of the most heinous crimes of the Troubles. As Dolours Price, who admitted driving the woman to her death, said, it qualifies as a war crime in the eyes of all right-thinking people. In new documentary I Dolours, which was shown for the first time in Belfast last night, the late former IRA member goes into considerable detail about the murder. The information was given in a taped interview with journalist Ed Maloney on the understanding that it would not be aired until after her death. 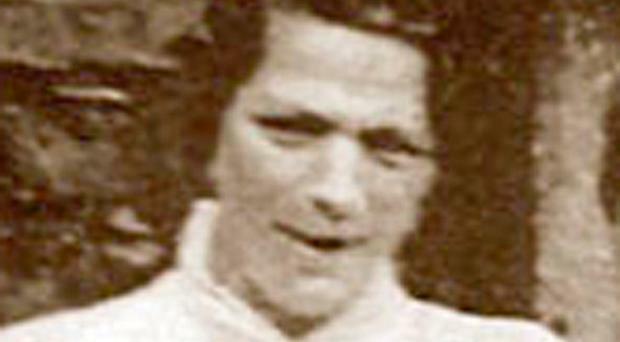 Ms Price, who said she was in an IRA unit called the 'Unknowns', reiterated the oft repeated republican claim that Mrs McConville was an informer. Usually the story claimed she used a secret transmitter to pass on information. In the film Ms Price, who died in 2013, claims she was spotted identifying IRA suspects from behind a blanket in Hastings Street police station. She also claims that former Sinn Fein president Gerry Adams was in charge of the IRA in Belfast and gave the order for Mrs McConville's execution, a claim he has always strenuously denied. In fact, he says he was never in the IRA. Although Ms Price appears lucid and coherent in her interview, it is also evident that she was not a well woman at the time. This fact has been seized on by Sinn Fein to discredit her account, just as it tried to do with former senior Provo Brendan Hughes, who also gave an interview to Mr Maloney and who is also dead. That shows the difficulties which could arise in any truth and reconciliation body which might be set up here. Could we believe the testimonies given? Some of the evidence in I Dolours doesn't stack up - she claims she was one of three IRA members who shot Mrs McConville over an open grave, yet an autopsy found only one bullet wound. Nevertheless, her account is a chilling exposé of the ruthlessness of the terrorists. A mother, her children clinging crying to her legs, was dragged from her home to be executed and secretly buried. That is an image we should never forget. Nor should we forget how those children's lives were altered immeasurably that night, a family torn apart and put into care and left wondering for 30 years what really happened to their mother and where she lay. It is a sordid tale republicans wish had remained buried. Editor's Viewpoint Farmers have a reputation for seeking the best possible value from their purchases, but few could have been as successful as the McFarland family from Moy in Tyrone. Father Ben bought a David Brown Selectamatic 880 tractor in 1969 and 50 years later both Ben and the tractor are still going strong.